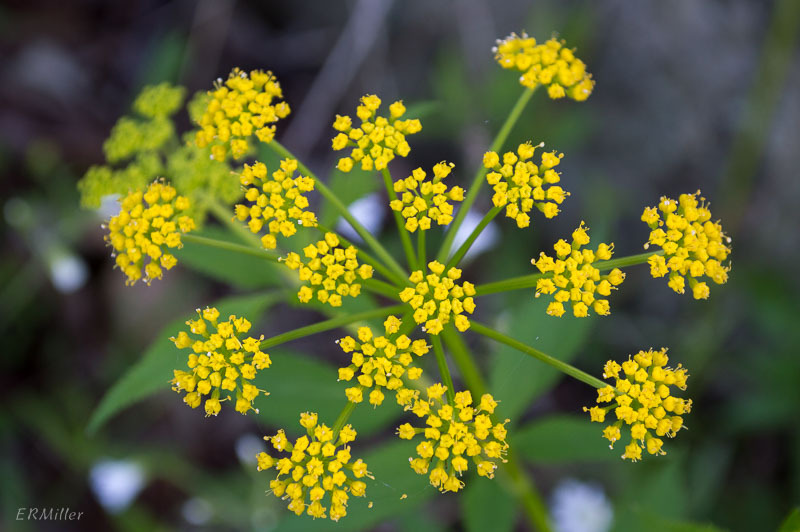 This perennial member of the carrot family stands about two feet tall and grows in a variety of habitats, from moist to drier open woodlands and in rocky areas, and provides nectar for a large variety of insects that don’t have many other sources in the springtime. It ranges from Quebec to Florida and west into the Great Plains. Each umbellet consists of about twenty flowers, each with five inward-curving petals. In case you’re wondering, yes, these botanical terms share a root with the word “umbrella”. It’s from the Latin umbra, meaning shadow. Umbel-shaped flower heads are typical in the Apiaceae. The genus is named for botantis J. B. Ziz. What I can’t figure out is why this (and several other) species has the common name Alexanders. If anyone knows, please leave a comment. 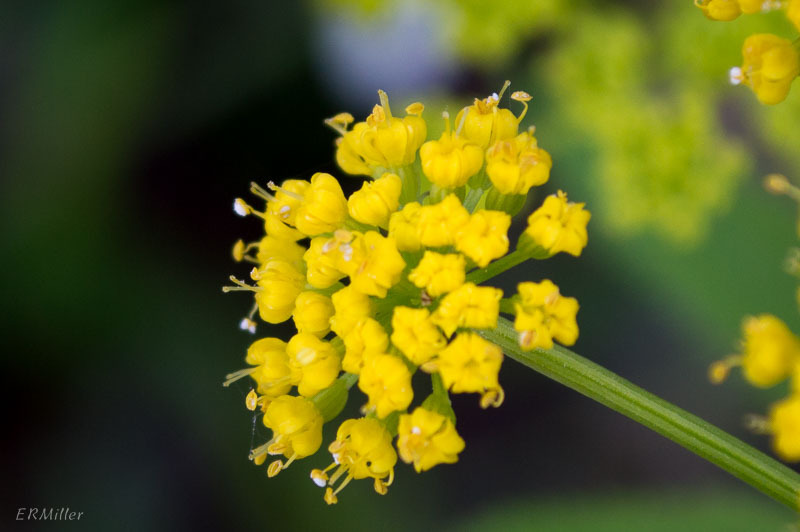 This entry was posted in Uncategorized and tagged Apiaceae, golden alexanders, umbel, Zizia by elizabeth. Bookmark the permalink.